Pasticho is a delicious version of lasagna that is very popular in Venezuela. Its origins come from the Mediterranean, where a similar dish called pastitsio is made with tubular pasta and lots of creamy bechamel sauce. 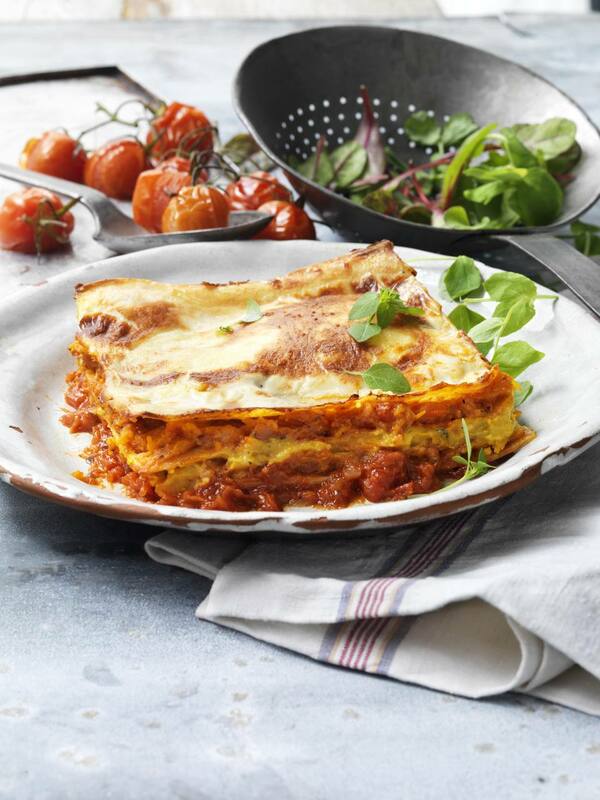 In Venezuela, pasticho is prepared with regular lasagna noodles layered alternately with a tomato-based meat sauce and bechamel sauce, with cheese and sometimes ham interspersed within the layers. It requires an extra cooking step, but it's well worth it. Cook the lasagna noodles according to package directions. Drain, rinse with cool water, and set aside. Make the red sauce: Heat 2 tablespoons olive oil in a large skillet or stockpot. Add onions and garlic, and cook over low medium heat until soft and fragrant. Add ground beef, soy sauce, and Worcestershire sauce and cook, stirring, until meat is well-browned. Add stewed tomatoes, tomato paste, oregano, basil, bay leaf, sugar, and red wine or stock. Simmer over very low heat until sauce thickens and develops a rich flavor, about 30-45 minutes. Taste for seasoning, and season with salt and pepper to taste. While the red sauce is simmering, prepare the bechamel sauce: Place the butter in a heavy saucepan, and melt it over medium low heat. Whisk in the flour, and cook until butter/flour mixture is bubbly. Whisk the milk into the butter/flour mixture, and cook over medium heat, stirring constantly, until sauce thickens. Add salt, nutmeg (optional) and Parmesan cheese, and stir until smooth. Taste for seasoning, and season with salt and pepper to taste. Assemble pasticho: Spread a thin layer of bechamel sauce on the bottom of a 9 x 13-inch baking pan. Cover with a layer of lasagna noodles. Cover the noodles with a layer of one third of the meat sauce. Top meat sauce with another layer of noodles. Spread another, thicker layer of bechamel sauce (about 1 cup) on top of the noodles then sprinkle 1/3 of the mozzarella cheese and a couple of tablespoons of Parmesan cheese over the bechamel. Repeat with another meat sauce layer then another bechamel and cheese layer. Repeat with one more meat sauce layer; top with a final layer of noodles then spread the remaining bechamel over the noodles, and sprinkle remaining mozzarella and Parmesan cheese over the top. Cover the lasagna with a piece of foil and bake, covered, for 30 minutes. Remove foil, and continue to bake until cheese is melted and lasagna is heated through and bubbly. Let cool for 5-10 minutes before serving.